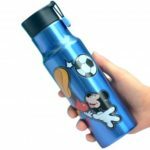 The vacuum insulated water bottle is constructed from 304 stainless steel and food-grade PP, safe and healthy to use. 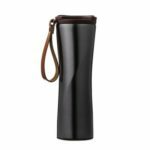 Double wall vacuum insulated water bottle enables you to enjoy cold or warm beverage a whole day. With 475ml large capacity to accommodate drink, you don’t have to add water frequently. Compact and lightweight, convenient to carry for travel, camping, hiking, picnic and more. 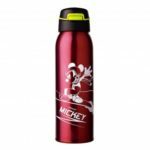 Double wall vacuum layer let the water bottle keep liquid cold or warm for 24 hours. Ideal for travel, commutes, camping, and everyday hydration. Designed with a zinc alloy lift ring, convenient to carry for work, school, outdoor traveling, yoga, picnic and so on. Lightweight but durable quality. 475ml capacity is enough to accommodate water for daily hydration, no need to add water frequently. Streamlined design with delicate craftsmanship presents simplicity, bringing comfort both in visual effect and hand feeling. 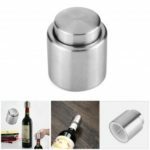 304 stainless steel interior and exterior, food-grade PP lid, silicone gasket enhances leakproofness, effectively prevent liquid leakage. Available in 3 colors: white, orange and grey for option, choose as you like.